The Euroleague loves a story where a former player returns home and there is sure to be a great deal of focus on Galatasaray player Martynas Pocius. Pocius is returning to Kaunas to take on his former team and team-mates, in an event that is sure to cause some difficulty for the fans that used to idolise the player. 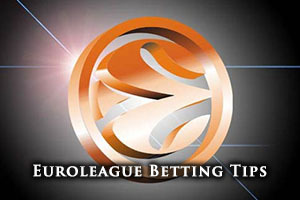 When it comes to betting on the Euroleague, the emotion of the game can sometimes overcome logic and reason. Both of the teams are tied in sixth place and the start of the second half of the group stage provides an opportunity for redemption and an upswing in form. Galatasaray won the match in the first half of the group, with Zoran Erceg and Sinan Guler showing their class with 14 points each. 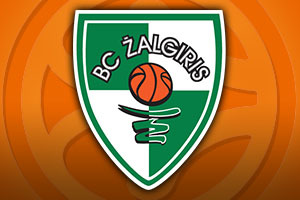 The home side will be without Arturas Gudaitis, which means that Darius Songalia will be under more pressure to deliver. As an ex Galatasaray player, Songalia will be desperate to find form in this game but his team-mates and fans are really counting on him. Kaunas have a 7-10 record in the Euroleague this season so far, comprising of a 5-5 record in the regular season and a 2-5 record in the Top 16. As a team they have managed an average of 70.3 points in their Euroleague games this campaign and James Anderson has been the key man for points, having notched an average of 14.9 points per game. He has been helped by Paulius Jankunas, with an average of 6.8 rebounds per game while Lukas Lekavicius has offered an average of 2.4 assists per game. Kaunas are clear at the top of their domestic league, sitting in first place with a 24-2 record. In their most recent domestic game, they slipped to a 67-65 defeat away to Neptunas, who are hot on their heels in second place. Galatasaray hold a 6-11 record in the Euroleague this season, sitting with a 4-6 record in the regular season and a 2-5 status in the Top 16. As a team, they have managed to notch an average of 78.8 points per game in the Euroleague and their top point grabber has been Zoran Erceg with an average of 16.8 points per game. Erceg has also grabbed the most rebounds for the team, notching an average of 4.6 rebounds per game. Carlos Arroyo has been the top man for assists, providing an average of 4.3 assists per game. Galatasaray are in fifth place in the Turkish league, sitting with an 11-8 record. Their most recent game saw them notch a narrow 81-80 home win over Torku Konyas. This is a game that could go either way if a team hits form but at this stage, taking Kaunas with a -5.0 handicap, and odds of 1.90 is likely to be a sound bet. If you fancy taking the Over/Under bet, go Under 149.5 at odds of 1.90. You will find both of these bets available from Bet365. Bet Now!